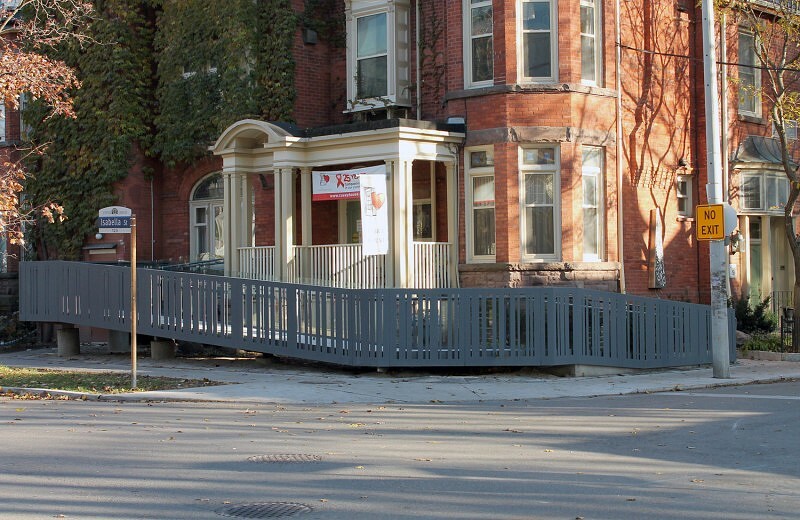 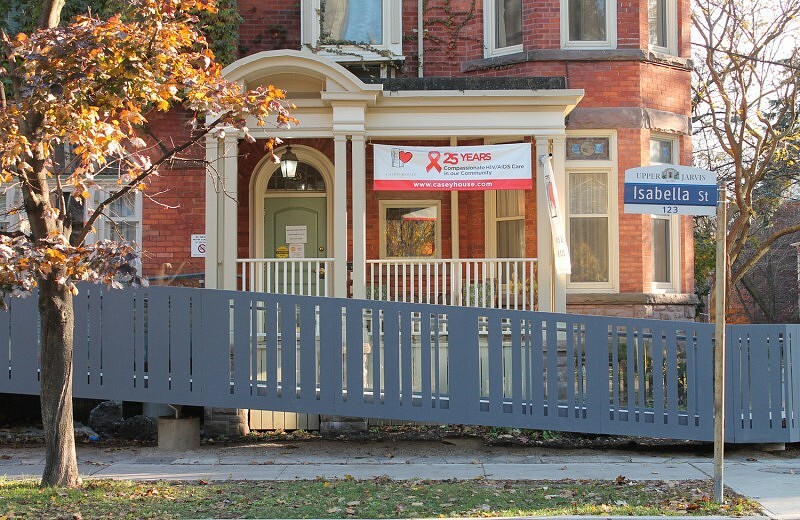 ERA was engaged to develop a new access ramp for Casey House: 9 Huntley St., to replace a previous ramp that was deteriorating, difficult to use, and which did not satisfy new Ontario Building Code regulations. 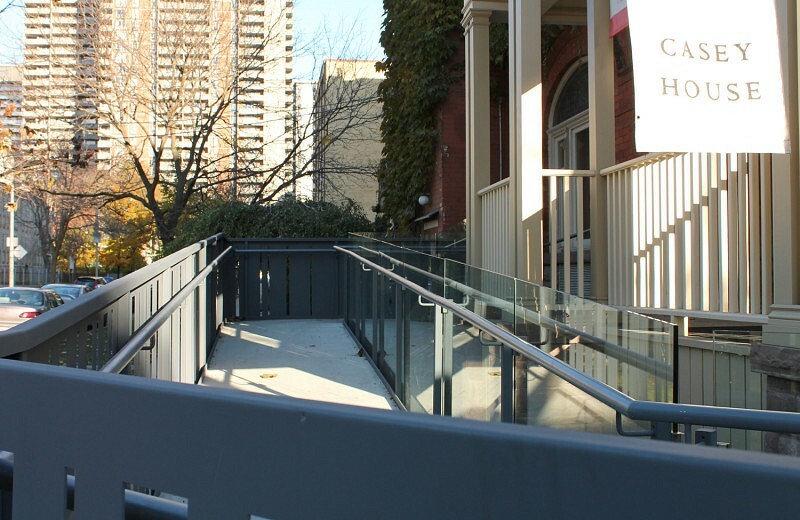 Our challenge was to provide a design as light and unobtrusive as possible, while still accommodating the gentle slope and guardrail height required by law. 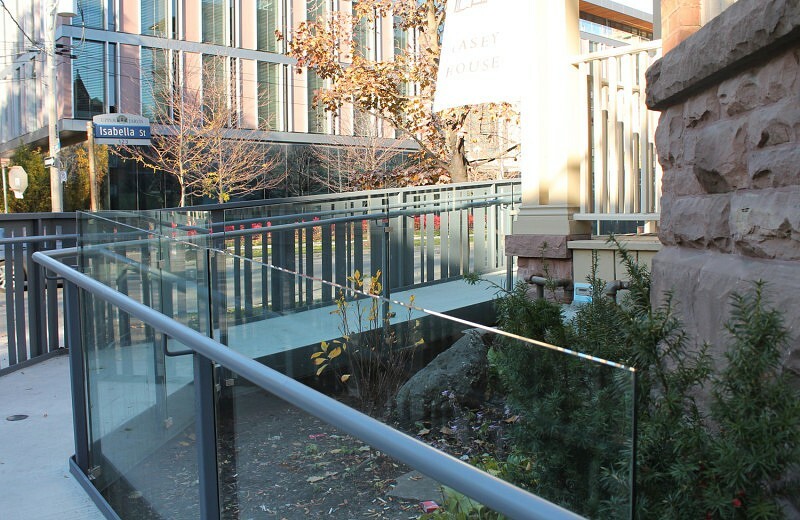 The new ramp uses a varying array of posts that plays on the aesthetic of the porch rail of Casey House. 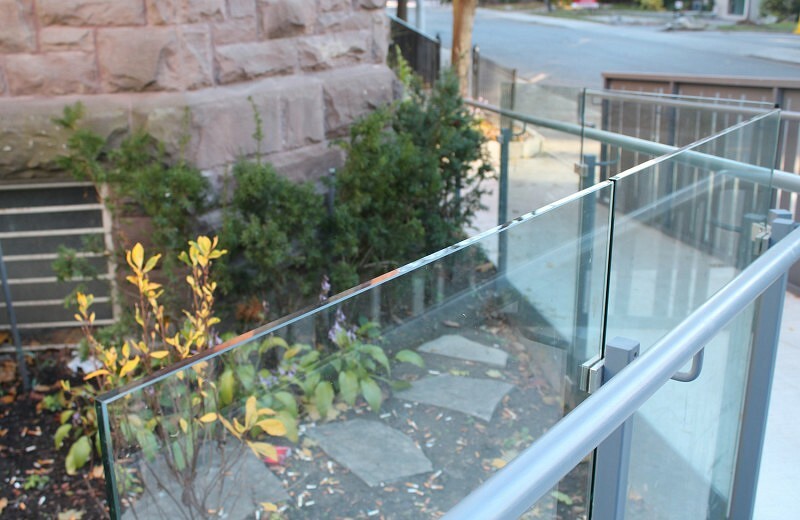 This design allows a degree of transparency to the heritage fabric behind, and allows dappled sunlight to reach the House’s garden, which is landscaped with aromatic plants and flagstone stepping stones.